Joanna Nesbit, a Bellingham-area mom (and fellow travel writer) recently went with her family to Penticton, BC, for three nights. Penticton is about a five hour drive from Bellingham, six and a half from Seattle and about five from Vancouver, BC. Nesbit went about her trip in a smart way – she brought her 13-year-old daughter’s friend along with them, and then met up with friends (who had a son the same age as Joanna’s 10-year-old). Q. Where did you sleep in Penticton, BC? We camped at Banbury Green RV Park. It’s pretty but tight. I wasn’t prepared for was how small the sites are. There are some other RV parks that might be just as good, not sure. Here’s a list of RV parks (Kaleden and Penticton addresses good; others too far away). Q. What did you like about the campsite? What types of amenities did it offer? The location was fantastic, a few minutes out of town right on Skaha Lake. We rented a paddle boat and the kids swam (sort of – the lake was cold). 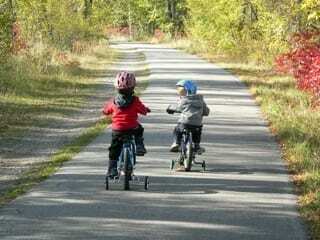 We also played rousing games of volleyball, rode bikes on a nearby trail, and of course roasted marshmallows. 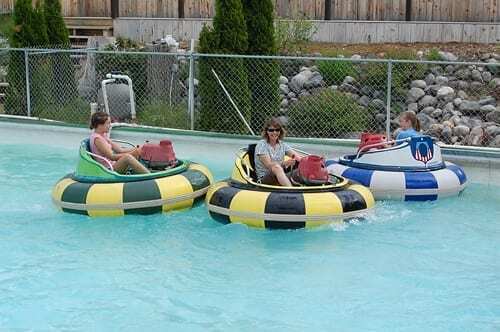 The RV park has showers, toilets, amenities for washing dishes, ice at the office, and paddle boat rentals (with life jackets)– $10 per hour or $25 for 4 hours. Q. Which Penticton activities did your family enjoy? We went to the Okanagan Amuseuments Go-Kart track just a few minutes down the road from the RV Park, where some of us got on Go-Karts and others got on bumper boats. Found Loco Landing online, which we missed, but I would feel confident saying it would be a blast. The bumper boats are cheaper here than what we paid. We went to the Skaha Bluffs climbing area, on the other side of the lake from the RV Park. The climbing area in the spring is a huge attraction for visitors (and the RV Park was full of climbers). It’s a beautiful place to walk around even if you’re not a climber (I’m not), and a great place to climb for all ages. However it would be too hot to climb there in the summer. Q. 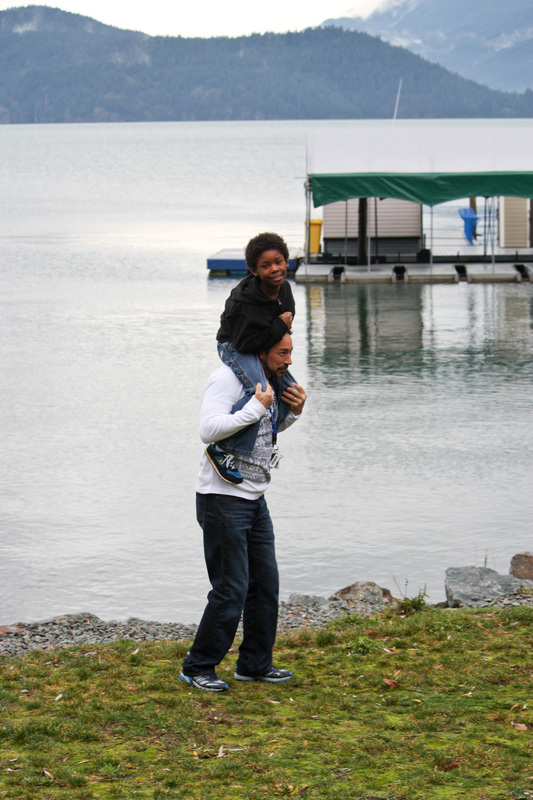 What did you need to do to bring a child’s friend across the Canadian border? How did that work out? To take unrelated kids across the border, you need either a passport, or picture ID and a certified copy of a birth certificate, as well as a letter of permission from the parents that includes phone number(s) of parents and dates their child is entering and leaving Canada. There might be a form online. We put her documents in a clear zip-loc bag for easy visibility, and it was no problem. We took a friend for Leah because we knew her younger brother would have a friend there. She had someone her own age to hang out with — by the time kids are teens (she’s 13), they really care about hanging out with friends. It worked out very well. But I’d pick that friend carefully if it’s for multiple days (we had Leah’s friend for three days). 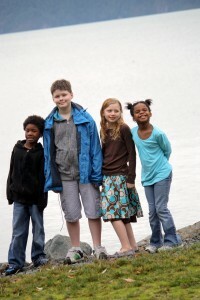 Read more about entry into the Canada with kids or entry into the U.S. with kids. As you probably remember from last week, we interviewed Sarah Reese, a Washington mom to 11 natural, adopted and step-children. 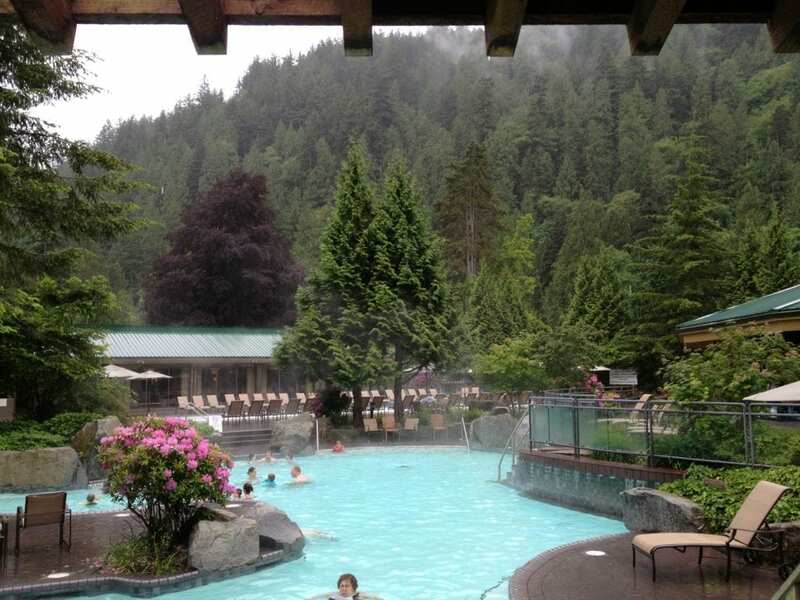 This week, she tells us what she loves about BC’s Harrison Hot Springs Resort and Spa, located 90 minutes east of Vancouver, BC and three hours Northeast of Seattle. First Nations peoples discovered the springs thousands of years ago; The springs have been soothing tourists since 1886, after one of the region’s first resort communities was established. 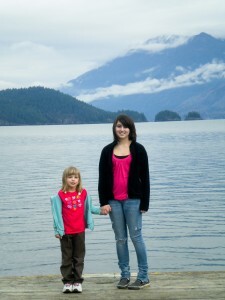 Tell me about how your family of 11 stays at Harrison Hot Springs? The older part of the hotel has the lowest prices. 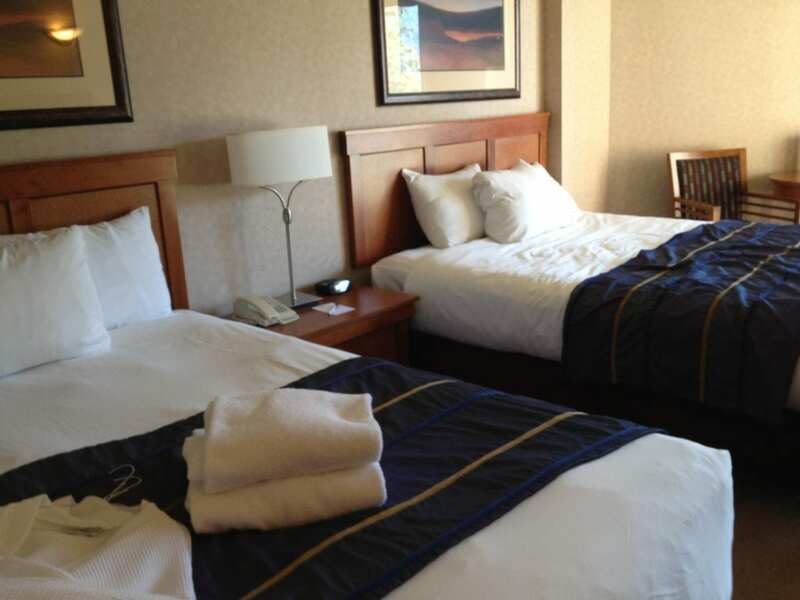 They also have family suites that have two rooms and a bathroom in this part of the hotel: One room with a double bed and the other with two single beds. We try to always book a deal for a weekday off-season in the older part of the hotel. 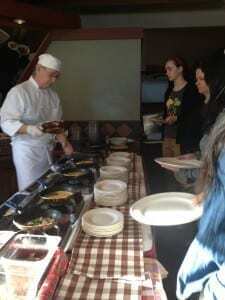 We’ve managed to get each room at a good cost with free breakfast buffet included for the adults. The west and east wings of the hotel have nicer interiors, but cost a bit more. The resort has several small cabin rentals that aren’t available online. These allow families to bring along a pet to the hotel. The hotel also has a game room, lovely coffee shop, exercise room and beauty salon. During the summer months there is an outdoor tennis court and spray park right on the property as well. 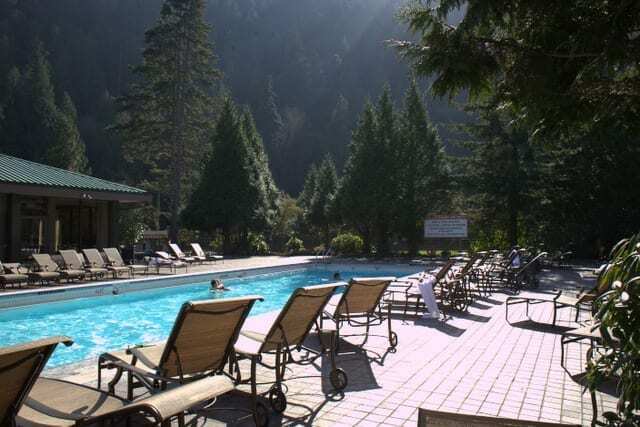 So, what are the resort pools like at Harrison Hot Springs Resort? The resort has five hot-spring fed pools, open year round. Outside, there’s a family pool, lap pool and adult only pool. Inside is an indoor pool and VERY hot “hot tub.” Inside they also have men’s and women’s lockers with eucalyptus steam rooms. Be sure to bring your bathing suit, water bottles, bathrobes for the kids and flip flops for all. There is a public pool that is hot spring fed, but we found the first time that we went there that by the time we paid for everyone to get into the public pool we could have paid for one hotel room. Only hotel guests are allowed to use the hotel pools. What do you do for family dining at Harrison Hot Springs? There are two restaurants — The Lakeside Cafe which serves beautiful buffets overlooking Harrison Lake and The Copper Room which has five course dinners and fancy brunch on the weekends and holidays. The resort hotel also has a bar and a large lounge area inside where they serve tea at 4pm each day. Every guest room comes with bathrobes (for the adults), so almost everyone just goes around the hotel with their bathrobe covering their swimsuits. This takes a bit of getting used to, but the kids think it’s the best thing ever! Of course for dining you would want to wear proper attire, but for tea, it’s nice to sit in front of the fireplace and have your tea and cookies. In the mornings, we have the older children and Dad go for breakfast while I have breakfast in the room with the younger children, then we all go for an early morning swim. For dinner we usually have pizza or other take out in the room from local places we can walk to. Or if it’s nice out we walk and eat by the lake. Most of the rooms have a small fridge. What else can families do? Are there many kid-friendly options near Harrison Hot Springs? 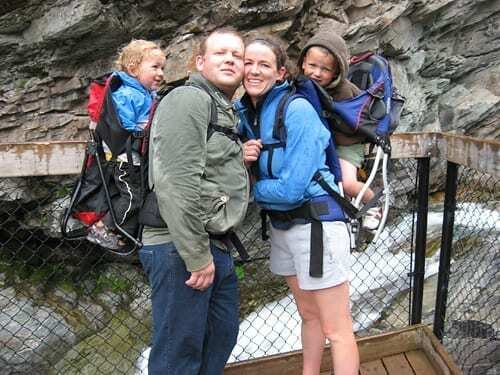 Locally, there are many other things for families to do including Bridal Falls Water Park, the amazing Minter Gardens, Bridal Veil Falls Provincial Park and visiting the Fraser River and Hell’s Gate Airtram. You can walk along the lake and each fall there’s a sandcastle competition (From Lora: check out this YouTube video of the totally amazing sculptures). 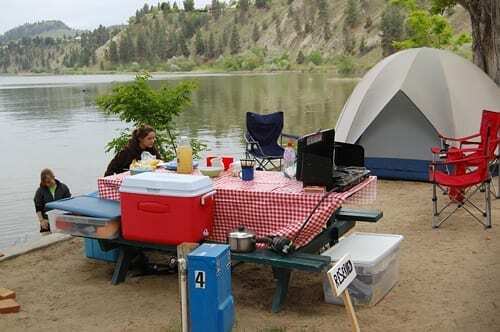 Of course there is tons of fishing, boating and camping opportunities as well. It’s really a great place to go without kids for romance, or a “girls get-away” with friends. Just one night at Harrison Hot Springs Resort feels like a week away. Find out more about kid-friendly Harrison Hot Springs in British Columbia at the Tourism Harrison website or this great article, “Weekend: Harrison Hot Springs, BC” at the Canadian Tourism Commission.